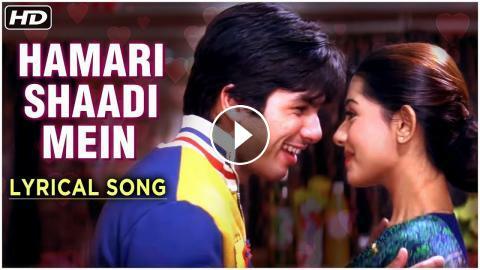 Watch this Bollywood Super hit Hindi song "Hamari Shaadi Mein" with lyrics from the super hit hindi movie "Vivah (2006), starring Shahid Kapoor & Amrita Rao. This song is sung by Babul Supriyo & Shreya Ghoshal. Music composed by Ravindra Jain. Movie is directed by Sooraj Barjatya.